Chocolate is delicious, coffee is wonderful…. add some rum and you have a flavor combo that is bound to have adults clamoring for seconds! 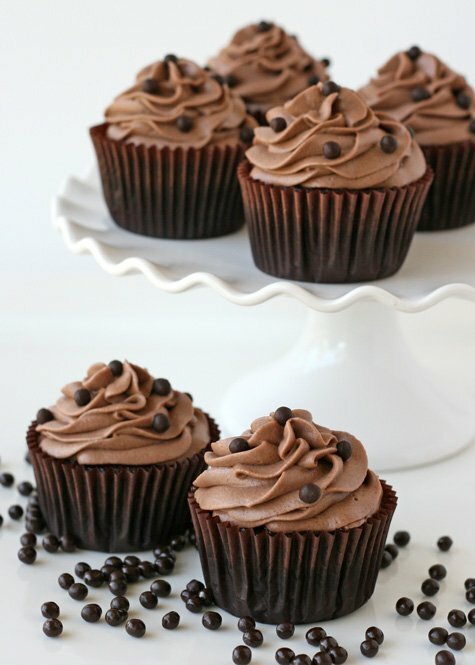 These Chocolate Kahlua Cupcakes are rich, flavorful and delicious! If you’d prefer not to include alcohol, feel free to adjust the recipe (as described below) into Chocolate Espresso Cupcakes. 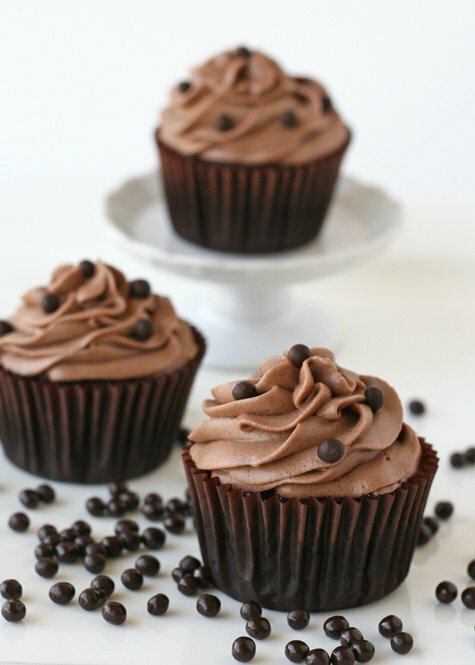 To make these cupcakes, you’ll first need a batch of my favorite Chocolate Cupcakes. Prepare the cupcakes as directed (in the recipe linked above), bake and then transfer to a cooling rack. While the cupcakes are cooling (but still warm), use a toothpick to poke 5-6 holes in each cupcake. Use a pastry brush to brush Kahlua onto the tops of each cupcake. Once you have brushed each cupcake with Kahlua, go back and do one more “coat” on each cupcake. As an alternative, you could brush the cupcakes with espresso coffee. 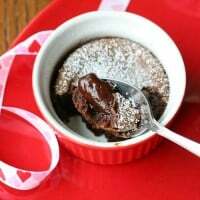 Once cupcakes are fully cool, and the Kahlua (or espresso) has had time to soak in, frost the cupcakes using the recipe below. Yield: Frosting to pipe a swirl on 20-24 cupcakes, or frost and fill a 8" cake. In the bowl of an electric mixer, beat butter until fully smooth. Add cream cheese, and continue to beat until fully incorporated and smooth. Add cocoa powder, and beat until well combined. Add powdered sugar, one cup at a time, while the mixer is running. Add vanilla, then 2 tablespoons of Kahlua (or espresso) and 1 tablespoon heavy cream. Add additional Kahlua if desired. Beat until all liquid is fully incorporated and frosting is smooth and fluffy. If you don't have cream cheese on hand, feel free to replace it with an additional 4 tablespoons (1/2 stick) of butter. The cream cheese adds a nice dimmension, but the frosting is still delicious without it. It is important that your butter and cream cheese are cool or cold, or the frosting may be too soft. If the frosting is too soft, put the entire bowl of finished frosting in the fridge for 20 minutes or so, and it will firm up quite a bit. I used a Wilton 1M tip to frost the cupcakes. If you need any help with frosting cupcakes, I have a full post (with a video) on How to Frost Cupcakes. As a decorative (and delicious) topping, I added a few Valhrona Chocolate Pearls. I found these at Whole Foods Market. This is wonderful. I’ve used these flavors in the past and they so yummy. I just came home from work, haven’t eaten anything and I’m cooking dinner now but one of these…if it could magically appear here, it would really made my day, it was a very long and exhausting one, too. Oh Haniela, if I could transport one of these to you I would! Hugs to you!! Thanks so much for the super sweet comment! Hugs! How amazing and beautiful! I struggle with piping the icing onto cupcakes and fall back on my safe rose swirl. You’ve inspired me to try again! Oh my gosh, Glory! I. MUST. MAKE. THESE! Maybe a third coating of the Kahlua to get through a tough day? ? ? 😉 Thanks for another fantastic recipe! I like your recipe I’ll give it a go! Magníficos cupcakes. Te han quedado extraordinarios. 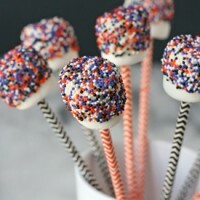 You must have read my mind-I was just thinking about making these for my party coming up on Saturday! Ooooh. I need to get my hands on some of those Valhrona chocolate pearls. They look gooood. So pretty! I have a Kahlua frosting recipe but it does not call for cream cheese. I can see how silky it makes this frosting. Chocolate and Kahlua, one of those perfect combinations! Wow, these sound delicious! I hadn’t thought of using cream cheese in the frosting, but I bet it is wonderful. Can’t wait to try these out. And I love those pearls! Cupcakes are not made only for kids right? I mean, adults can enjoy a lot this kind of deserts, so why don’t add Kahlua sometimes? Great recipe…!!! Um, yes, yes, and yes. I’m ALL over this. 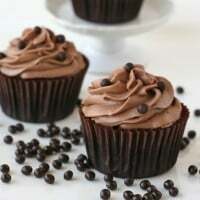 This is my idea of a perfect cupcake! I could never stop at just one. YUM for sure! I made these this weekend and they were awesome! Thank you for all your great ideas and recipes. I can’t wait to go shopping for supplies to make the painted pumpkin cookies. My son’s class will absolutely love these. What a great way to showcase each child’s artistic talent! I have a ton of molds for every holiday, but I am always on the lookout for new ones, as well as new ways to decorate sweets. Thanks for the great ideas! gorgeous cupcakes and fantastic website! thank you for the fantastic tips and ideas! Hi! I just made these and I’m wondering what’s the best way to store them? Should they be refrigerated since the frosting has cream cheese in it or does it matter? did you ever get a response by any chance? 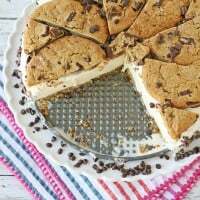 Pingback: 10 Mother’s Day Dessert Recipes for Chocolate Lovers | Everyfoodrecipes, cooking tips, and how-to food videos—all rated and reviewed by millions of home cooks,make the perfect birthday cake, or plan your next holiday dinner. These were fabulous and I will definitely make them again. Good quality cocoa makes a difference! My skinny husband ate five of them, tonight, so I guess he liked them too.. Thanks for sharing!! do the cupcakes need to refrigerated or is it OK at room temperature?